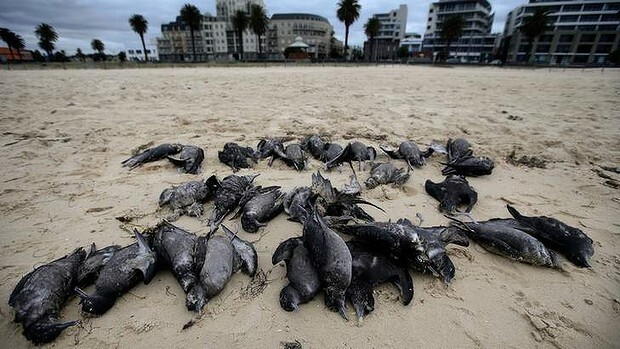 Mutton birds are dying more frequently than usual lately, thousands are now being found on the Coffs Harbour to the Tasmanian coasts. The new females arriving in the shore late September are actually carrying eggs for up to a year when they are found dead while their journey with the breeding males. October 30, 2013 in Class blog, Environment, Marine Pollution. Tags: #savethebirds! Thanks for sharing this article. It definitely seems to be a concern that these “wrecks” are occurring more regularly now than in the past. Dr Lavers, who you quote, has done a lot of research in the field of marine birds. To improve next time, try to be a little clearer about the quotes that you provide – who is the person you are quoting? Give a little background from the article. It also would have been good to explain that the term “wreck” refers to mass bird deaths in this context. I would also have liked to read a little bit more of your personal perspective about this issue – why is it of concern to you? As a first blog post – impressive. Are you talking to me, and if you are thanks!